What’s Driving the Growth of Synthetics? Although overall U.S. lubricant consumption has declined since 2006, the demand for synthetic lubricants continues growing, even throughout a worldwide recession. For example, while synthetic motor oil represented 5 percent of the motor oil market in 2005, it now accounts for 7-9 percent. Leading industry research company The Freedonia Group Inc. projects 7.3 percent annual growth for sales of synthetic motor oil through 2013 and 6.3 percent growth for synthetic hydraulic and transmission fluids. A new study by Kline & Co., meanwhile, indicates synthetics’ share of the global lubricants market will hit 12.5 percent by 2019. Author johnzenaPosted on June 28, 2011 Categories Blog, UncategorizedLeave a comment on What’s Driving the Growth of Synthetics? While still a few months from the official start date in May, the 2011 AMSOIL Street Rodder Road Tour schedule has been announced. Presented by Street Rodder Magazine, this will be the fourth year as title sponsor for AMSOIL. Editor Jerry Dixey will once again lead participants across the country to various events and car shows in a custom-built street rod. This tour never fails to turn heads as they cross the country, bringing nostalgia to those who lived in the eras when these vintage street rods were born. As they hit the pavement, Jerry will keep those who aren’t along for the ride up to speed through regular blogs and articles for Street Rodder Magazine. See below for the full schedule, and plan on taking your street rod out on the open road this summer with the AMSOIL Street Rodder Road Tour. Sept 11 — Knoxville, Tenn. Though the 2010 AMSOIL Mopar Muscle Engine Challenge just wrapped in September, the excitement is already building for the 2011 challenge. The rules were announced at PRI last week, and AMSOIL is heading into its fifth year as title sponsor. Already, online forums are lighting up with responses from engine builders around the country eager to get their names in the hat. With only 8 spots to fill, prospective competitors definitely need to bring their A-game in order to catch the eyes of the editors making selections. For those unfamiliar with this event, each year a new set of rules is laid out for builders to consider when constructing their engines. This year only B or RB-block engines will be allowed, with a max value of $5,500.00. If builders go over this amount, they will be assessed a penalty of 10 horsepower for every $100.00 they go over. This helps level the playing field amongst the seasoned engine builders who do this for a living and those who build out of their homes or garages. The price of parts plays a large part in the big picture, so even those without an abundance of money or parts have a shot and taking the title. The ideas builders must come up with to stay within the guidelines of this rule result in some of the most innovative engines ever created. The purpose of the challenge is to give these talented engine builders a platform to showcase their abilities. Participants receive nationwide coverage through the Mopar Nationals in August, as well as articles covering the event in Mopar Muscle Magazine. This is a rare opportunity to reach thousands of Mopar enthusiasts in need of their end result. A well-built engine can open many new doors for participants. As in years past each engine will be on display throughout the week at the Mopar Nationals in August, and from there they will be shipped off to the Comp Cams dyno testing facility in Memphis to determine the winning build. 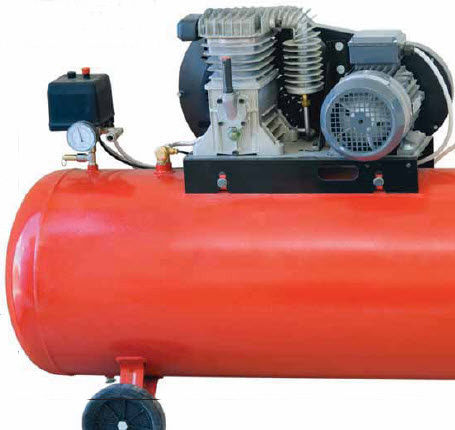 If you have the wherewithal to build a solid engine with the most power, this is the challenge for you. Find full details and the application at Mopar Muscle Magazine and watch the AMSOIL Promotions blog for future updates on the 2011 AMSOIL Mopar Muscle Engine Challenge. 2010 has been another good year at AMSOIL. From a dozen new product announcements to several new high-profile sponsorships, AMSOIL rounded out the decade with continued growth and much to be excited about going forward. Here are a few of the highlights of the year just completed. Back in January AMSOIL again participated in the MPMC (Motorsports Parts Manufacturers Council) Media Trade Conference in Covina, CA. This conference brings companies face to face with the members of the media who cover the industry, establishing a sound connection between the two. AMSOIL also announced its status as Official Oil of Laconia Bike Week, the oldest motorcycle rally in the country. This sponsorship puts AMSOIL front and center at the three largest motorcycle rallies in the country as the Official Oil of each. AMSOIL-sponsored show cars landed some high-profile coverage in February, both in print and in placement. Big trade shows such as the World of Wheels, the International Powersports Dealer Expo, and the Chicago Auto Show all had AMSOIL-lubed rides on display. February also featured the King of the Hammers, a grueling desert race over 120 miles long. Industry heavyweights Lovell Rock Racing and the Watson brothers of Off-Road Design represented AMSOIL in this punishing race, both teams earning respectable finishes. In March, AMSOIL witnessed the rumble of thousands of bikes descending on Daytona for the 69th annual Daytona Bike Week. The AMSOIL presence was impossible to miss, and further solidified our stance in the motorcycle industry. Shortly after, the NSRA Street Rod Nationals kicked off its start of the 2010 season in Oklahoma City. April brought new product launches, including the AMSOIL Quickshot SE that later won Best New Powersports Product award at SEMA in November. The 2010 Diesel Power Challenge, an event that puts diesels through a series of challenges to test their power and performance, was a highlight of May. 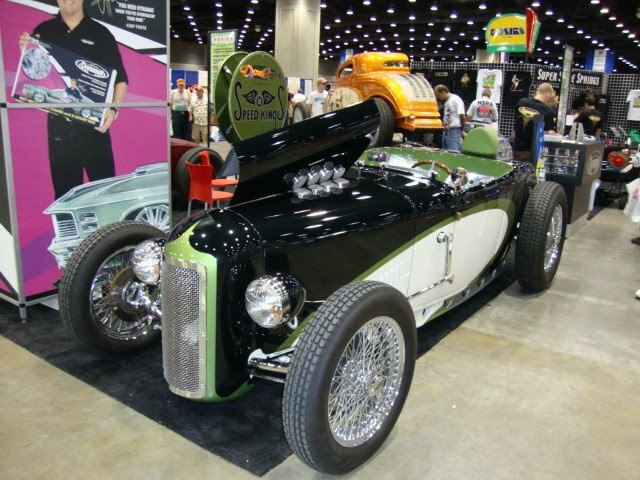 The 2010 AMSOIL Street Rodder Road Tour also hit the road that month, with Jerry Dixey leading the way across the country in a series of tours for street rod enthusiasts. The Top Truck Challenge in early June is always one of the most anticipated events of the year for off road enthusiasts. With events like the Frame Twister, Mud Pit and Tank Trap it’s easy to see why. This challenge takes no prisoners, and AMSOIL is on hand to provide lubricants capable of taking such abuse. In addition to features in Four Wheeler magazine the Top Truck Challenge airs on The Outdoor Channel, garnering national attention. Laconia Bike Week also started in June, where hundreds of thousands of bikers flocked to New Hampshire for a week of excitement and rides along the scenic East Coast. As usual August was a big month for AMSOIL with three large events taking place. 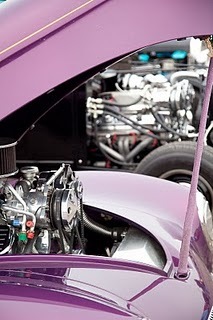 First was the NSRA Street Rod Nationals gathering in Louisville, which brought in over 11,000 street rods on display. Next was the Mopar Nationals, drawing collector cars, muscle cars and enthusiasts for its 30th year. This event tied into the Mopar Muscle Engine Challenge that AMSOIL sponsors, with engine builders having their entries on display throughout the week at this show. 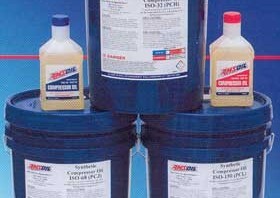 Finally, Sturgis turned 70 and as temps climbed into the 100’s AMSOIL was on hand to help keep engines cool. As the Official Oil, the demand for AMSOIL was high and the temps were an excellent testimonial to the benefits our oil provides. Hot Rod Drag Week is conducted each year in early September and history was made when Larry Larson and his Chevy II made the first 6-second pass in Drag Week history. In October AMSOIL was on hand at the University of Northwestern Ohio for the AMSOIL Engine Masters Challenge with many new friendships begun. Afterwards it was time to focus on preparing for SEMA in November, where AMSOIL introduced 7 new products into the New Product Showcase. The AMSOIL presence was abundant on the feature vehicles placed throughout the show. These are but a few of the exciting things happening at AMSOIL, and we've only scratched the surface. AMSOIL Racing continues to stretch its shadow across new horizons and the best is yet to come. Look for more details, updates and more right here in the AMSOIL Events Blog, and keep up with us on Facebook, Twitter (@AMSOILINC) and YouTube. As we move out of 2010, we look forward to even greater success in 2011 with many exciting opportunities ahead.